The Stars have been very impressive in the last few games (despite the lackluster 1st period and the “coasting home” 3rd period in Phoenix). Believe it or not, but the loss of Brad Richards for this stretch my end up being what gets the Stars into the second round of the playoffs (assuming they can qualify in the first place). The confidence that comes with winning without your biggest star goes a long way towards helping you be better when that star returns (vs. falling back into old habits). That’s a popular phrase these days on the tips of the tongue’s of Dallas Stars fans, and why not? A 4-0-1 stretch including dramatic finishes and big wins over high quality opponents has Dallas fans pumped about what the future may bring: Hopefully a playoff round. The assumption from everyone in Stars-land these days is that Brad Richards will swoop back in any time now and help lift the enormous weight that now rests on the shoulders of only a few, mainly Jamie Benn, Kari Lehtonen, Alex Goligoski and Stephane Robidas. 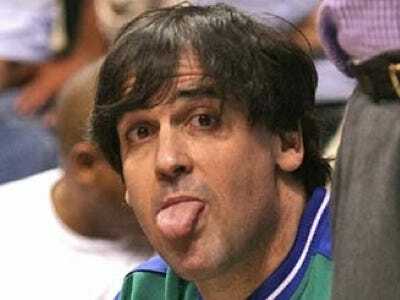 Be it Doug Miller or Mark Cuban or Santa Claus. The next few years hang in the balance. An elite player like Brad Richards who actually likes the city he’s in and is willing to stay if new ownership comes along… gotta make it happen. Dallas Stars Sale: Conflicting Reports on Doug Miller Offer – Defending Big D.